Tablets can be thought of as small, handheld computers. They're smaller than a laptop but larger than a smartphone. Tablets take features from both devices to form a kind of hybrid device, somewhere between a phone and computer, but they don't necessarily function the same way as either. Tablets work in very much the same way that most electronics work, especially computers and smartphones. They have a screen, are powered by a rechargeable battery, often include a built-in camera, and can store all kinds of files. The primary difference in a tablet and other devices is that they don’t include all the same hardware components as a full desktop computer or laptop. There’s also usually a special mobile operating system built-in that provides menus, windows, and other settings meant specifically for big-screen mobile usage. Since tablets are built for mobility, and the entire screen is touch-sensitive, you don’t necessarily need to use a keyboard and mouse with one. Instead, you interact with everything on the screen using your finger or a stylus. However, a keyboard and mouse can usually be connected to the tablet wirelessly. Similar to a computer, where a mouse is moved to navigate the cursor on the screen, you can use a finger or stylus to interact with the on-screen windows to play games, open apps, draw, etc. The same is true with a keyboard; when it’s time to type something, a keyboard shows up on the screen where you can tap the necessary keys. Tablets are recharged with a cable that's often identical to a cell phone charger, like a USB-C, Micro-USB or Lightning cable. Depending on the device, the battery might be removable and replaceable but that's less and less common. Tablets can be used for fun or for work. Since they’re so portable but borrow some features from a laptop, they can be a good choice over a full-blown laptop, both in cost and features. See Should You Buy a Tablet or Laptop? for more on this. Most tablets can connect to the internet over Wi-Fi or a cellular network so that you can browse the internet, make phone calls, download apps, stream videos, etc. You can often think of a tablet as a really big smartphone. When at home, a tablet is also useful for playing videos on your TV, like if you have an Apple TV or use Google Chromecast with your HDTV. Popular tablets give you access to a huge store of mobile apps that you can download directly to the tablet that let you do everything from check your email and monitor the weather to play games, learn, navigate with GPS, read eBooks, and build presentations and documents. 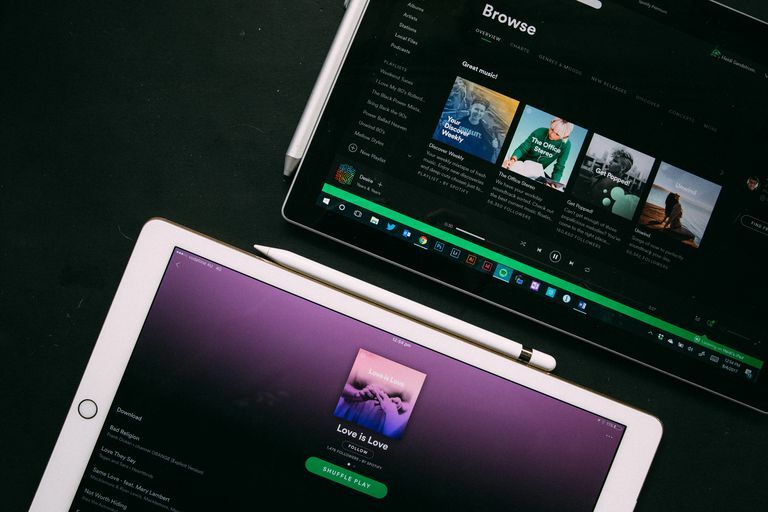 Most tablets also come with Bluetooth capabilities so that you can connect speakers and headphones for wireless playback when listening to music or watching movies. While a tablet can be a perfect fit for some, others might find it less than useful given that a tablet isn’t quite a full-on computer like you might think of one. A tablet doesn’t include things like an optical disc drive, floppy drive, USB ports, Ethernet ports, and other components that are usually seen on a laptop or desktop computer. Tablets are therefore not a good buy if you expect to connect flash drives or external hard drives, nor are they ideal for connecting to a wired printer or other peripheral. Also, because a tablet's screen isn't as large as a desktop or laptop monitor, it can take some adjusting to one for writing emails, browsing the web, etc. Something else to remember about tablets is that not all of them are built to use a cellular network for internet; some can only use Wi-Fi. In other words, those types of tablets can only use the internet where Wi-Fi is available, like at home, at work, or at a coffee shop or restaurant. This means that the tablet can only make internet phone calls, download apps, check the weather, stream online videos, etc., when connected to Wi-Fi. Even when offline, though, a tablet can still function in many ways, like to compose emails, watch videos that were downloaded when there was Wi-Fi coverage, play video games, and more. Some tablets, however, can be purchased with a specific piece of hardware that lets it use the internet with a cell phone carrier like Verizon, AT&T, etc. In those cases, the tablet is even more similar to a smartphone, and might then be considered a phablet. A phablet is another word you might see thrown around with phones and tablets. The word phablet is a combination of 'phone' and 'tablet' to mean a phone that is so large it resembles a tablet. Phablets, then, are not actually tablets in the traditional sense but more of a fun name for oversized smartphones.